It is officially not too early to talk about Christmas! I love it when we reach the point when I don’t have to feel guilty for singing Christmas songs and browsing the holiday baking aisles at the grocery store. All the cute packaging is too much to resist: boxes covered in snow flakes, red and green bags, and lovely ribbon. It’s seriously too adorable and makes me want to get baking up a storm. The only problem is that I’m not so much into the fussy cookie decorating. I’ve spoken about it in the past, but frankly I don’t have a lot of patience to intricately decorate sugar cookies. 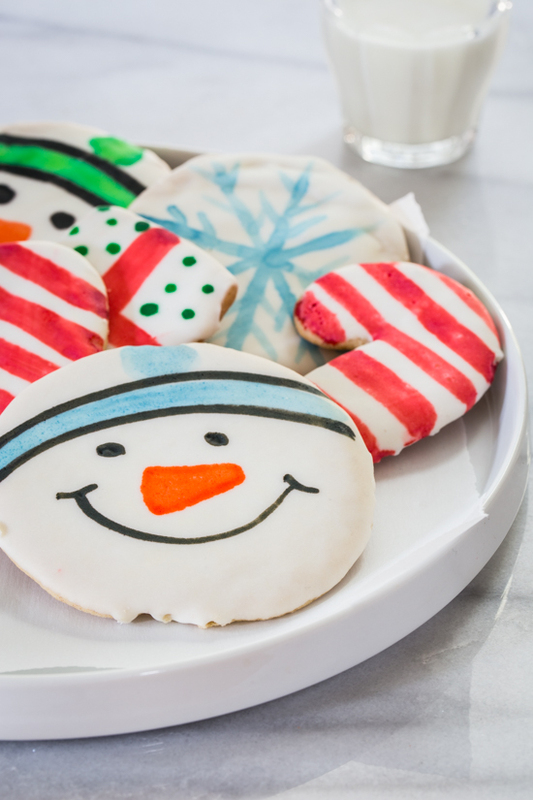 I LOVE a decorated cookie, but when it comes to creating something special in my own kitchen, I like to find some alternative ways to decorate – especially when the kiddos want to help, which is always. Over the summer, I shared my new and very favorite way to decorate cookies – flavor painting. The idea is that you mix ‘paint’ colors using a variety of flavor extracts and food color. 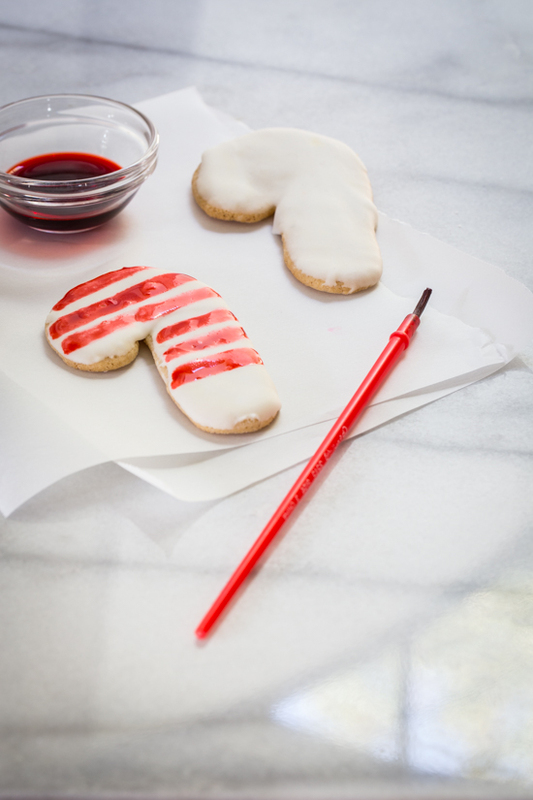 Then simply paint onto simply frosted sugar cookies using small paint brushes. There are so many great things about this technique. First, bake your favorite recipe of sugar cookies. I used this simple, but delicious sugar cookie recipe from McCormick. Then, microwave some store bought frosting and dip the tops of the cookies in the frosting. After the frosting is set, use your mixed flavor painting to paint on whatever designed and pictures you’d like! My video shows what you can do with some simple cookie cutters and a bit of food color and flavor extract. It’s so easy! As you can see, it’s something that the kiddos totally get into. When the painting is set and dry, you can package them up and give them as gifts to teachers and friends. Honestly, this method is so much fun. Every time we make a batch of these painted cookies, C lets out her inner artist and we end up with some very colorful, and flavorful results. 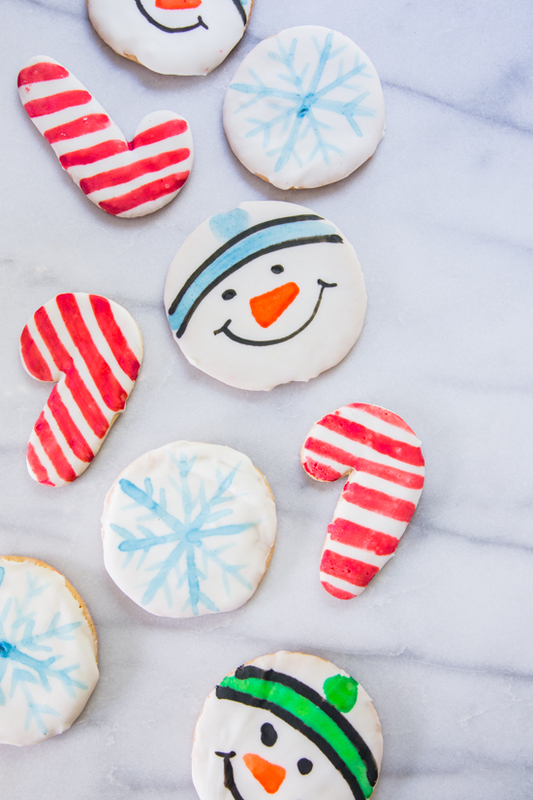 The possibilities for these holiday flavor painted cookies are endless! 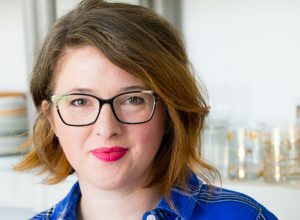 Disclosure: This post is sponsored by McCormick. All opinions are 100% my own. Spoon frosting into a microwave safe dish and microwave for 20-30 seconds. Stir until smooth. Dip the tops of the cookies into the frosting and set on a wire rack to set. When the frosting is set, mix your desired flavor paints (see notes below). Using a clean craft brush, paint your design onto the cookies. Allow flavor paints to dry before serving. Enjoy! This is such a fabulous idea! Love it and can’t wait to try it out this Christmas! These are so cute and delicious looking! I’m really looking forward trying these. These are awesome!! I love how the watercolor-y look gives them so much personality!